A new application which helps restaurants keep apace of consumer needs in real time, and keeps consumers delighted with great food that results in less waste. Social channels and online restaurant reviews can affect food consumer trends overnight. This can make it difficult for the Horeca sector to plan for satisfying consumer needs and can also lead to food waste. 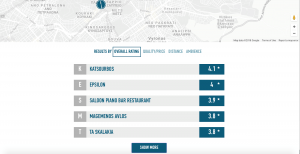 Working with lead users in the restaurant business in Prague, CAPSELLA partners We Deliver Taste and ATHENA developed the ‘Meal Prediction Tool’ to help restaurant managers more easily predict and serve meals which will delight the consumer. Web services like Google and TripAdvisor are driven by the data shared by thousands of users and can be processed in ways that offer insights into actual consumer needs. The capsella project saw this has great potential for better-informed sourcing, menu planning or staff allocation. In turn, this can reduce waste and costs – and anything that reduces food waste is in line with supporting sustainable food production. Now thanks to the pilot, consumers can better indicate what they are looking for while restaurants can plan to delight customers, deliver healthy meals supporting agrobiodiversity suppliers and reduce waste. The Meal Prediction tool, still in prototype phase, combines different sets of data coming from actual consumers who are searching for dining options. This data provides insight on the demographics of demand and locations of where these searches are taking place around the city. By sharing data on their specific demands, consumers receive personalised recommendations on different restaurants which match their preference. This data then becomes useful to restaurants, who now have a way to predict demand, identify food trends in real time and understand the demographics of their audiences. 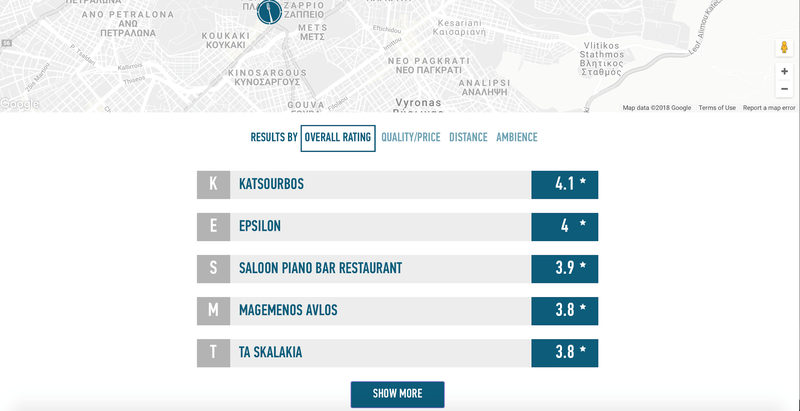 This user generated data is combined with other data coming from restaurant menus and social media which, with sentiment analysis, can then deliver enhanced recommendations that are accurate, personalised and in real time. This helps to reduce food waste as well as enhance fast growing trends demanding produce from agro-biodiversity sources. Register at the new url and try the application!